Having last year run faster than ever over 10,000m on the track as well as over 5km and 10km on the roads, Sonia Samuels is hopeful that she’ll experience similar success when she steps back up to the marathon in London on Sunday. 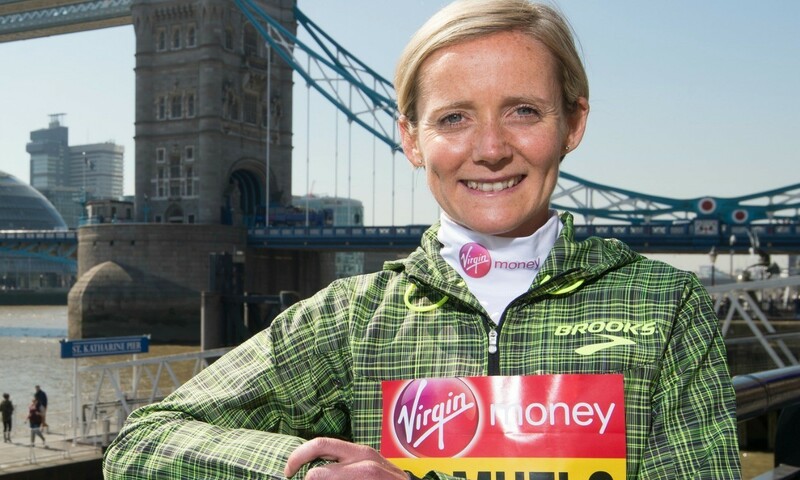 The 35-year-old took a break from 26.2 mile action in 2014 following her 16th place finish at the 2013 IAAF World Championships marathon in Moscow – her first major summer championships – and is pleased with how her preparations have gone for the Virgin Money London Marathon, but the experienced athlete knows that come race day, anything can happen. “Everything has gone really well so far,” she says. “The build-up has gone pretty smoothly, which is good in one way but it’s a bit nerve-racking in the other because you think it’s all gone well so you should run well, but anyone who runs a marathon knows that on marathon day anything can happen. Since her early days as a junior cross-country champion, Samuels has taken on a variety of distances and terrains. She made her marathon debut in London in 2012 and later that year ran her current PB of 2:30:56 in Berlin. After the World Championships the former national 10,000m champion decided to turn her attention back to the track and it paid off as she ran 32:39.36 in Palo Alto at the start of a summer which also saw her run for England at her first Commonwealth Games. Samuels, who has competed at four World Cross events and last winter finished 15th for GB at the Euro Cross in Samokov, prefers not to race too much in her marathon build-up, so after competing on the country she ran one more 10km in 2014 before 13.1 miles at the Lisbon Half Marathon earlier this year. Having previously been coached by George Gandy, Samuels is now under the guidance of Terrence Mahon and was also coached for a spell by her husband, Nick, himself a 2:30 marathoner. She receives support from specialist running brand Brooks, who she has been sponsored by since 2010, and recently went on a training trip to Kenya with the London Marathon. In London Samuels forms part of an elite women’s line-up which includes what has been billed as a Kenyan ‘fantastic four’ featuring Mary Keitany, Edna Kiplagat, Florence Kiplagat and Priscah Jeptoo as well as Ethiopia’s Aselefech Mergia and another five athletes who have gone sub-2:25. With her sights having been firmly set on getting to London in good shape Samuels hasn’t made any more immediate plans for this year, however she has allowed herself to look a little further ahead, to Beijing and Rio. “You spend three or four months preparing for this marathon and you can’t see past it,” she explains. “I have a few things in mind but it depends how I recover.